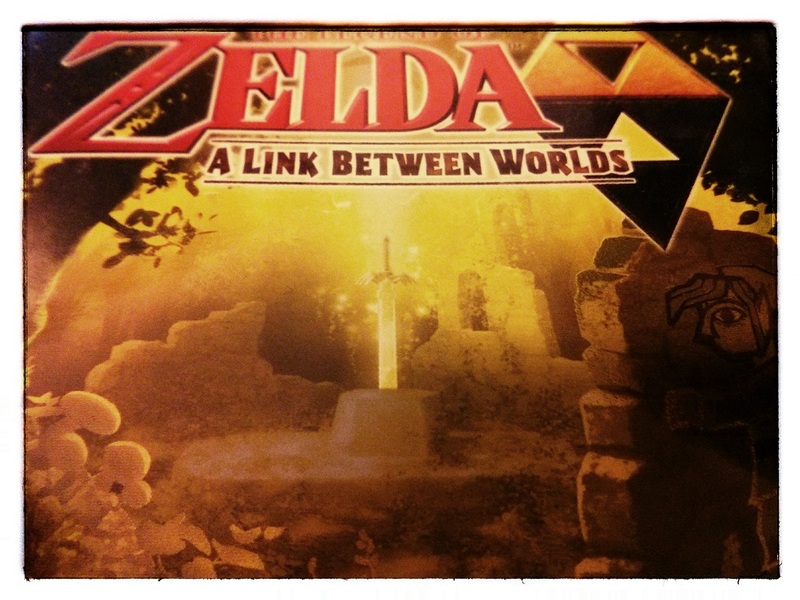 Pre-warning: As a Zelda fan of monumental proportions there may be a slight bias in this review. A Link Between Worlds (LBW) is the first fully exclusive 3DS Zelda title, following on from the 3D remake of, in my opinion the single greatest game of all time, Ocarina of Time. I came into it with high expectations having read multiple positive reviews in the lead up to its release. It took me a while to find the time to play it, but once I did there was no turning back. A return to the top down style of the original Zelda was welcome. As with Super Mario Land 3D this is the first game for me where I played the entire way with the 3D effect on and turned up to full. I found the level design to really benefit from this and am glad Nintendo are choosing to embrace the 3D in their flagship games. The storyline in a Zelda game never fails to satisfy. It is the Hero’s journey in its simplest form, each time with a slight twist or variation. LBW is no different. The concept is simple, there is a mirror world to Hyrule, aptly named Lorule. Without spoiling anything, Link ends up forced to save Princes Zelda from the clutches of a crook in Lorule who has turned her into a painting. It kept me interested, but importantly kept the focus on the adventure driven gameplay, which is what the series is about. The big change in this game is the ability to merge into almost any wall you come into contact with, thanks to a special bracelet you receive early on. Rather than a gimmick, this was worked into every dungeon so that puzzles literally had a new dimension to them. I absolutely loved merging into walls to reach new areas. It somehow felt like every time I was cheating the system, even though I knew the game was designed that way. The art style of Link when he is merged into the wall is also terrific. I was sceptical at first, but once I saw it on my 3DS, I was sold. As for the art of the main game, I couldn’t flaw it. Beautiful and vibrant, well suited for the capabilities of the platform. The top down gameplay was no different to previous Zelda titles, which, as it isn’t broken, needn’t be fixed. The biggest change to me, which is one that was at the same time refreshing and disappointing (I am still not 100% on how I feel about it), was the item renting system. At the beginning of the game you are introduced to Ravio, a new oddly dressed character who allows you to rent almost all of the items in the game from the outset. This means that no longer will you be collecting the bow, boomerang and hookshot from your dungeons. Now, if you have the cash you can get them all straight away. At first it is exhilarating to splurge all your rupees and run around with bombs, ice and fire rods and a bow straight away. But once you begin completing the dungeons you start to realise one big thing is missing. The much loved sensation of opening a chest in a dungeon, looking for that brand new item. For me that is one of the things that made Zelda great. And though there is an item in each dungeon. They are more secondary things which did little to keep me excited. To lose the excitement of opening a chest overshadowed for me the new flexibility from the beginning. It must be noted that I did not realise that each item could be upgraded until the very end of the game. If you start playing this and are collecting the little soft shell crabs as I like to call them, make sure you regularly go back and return them to their mother. You’ll know what I’m talking about when you play. Don’t be a sucker like me and upgrade all your items at the end, when you barely have time to use them. Overall I felt the game had a good length, I might have liked to have seen a few more mini games and non dungeon areas to explore, but there were plenty of dungeons. No game could ever come close to Ocarina of Time. Skyward Sword on the Wii did a great job of trying and came close. A Link Between Worlds comes up there, just shy of that. A terrific game, well worth every penny, just short of absolute greatness. This entry was posted in Game Reviews and tagged 3ds, A Link Between Worlds, Game Reviews, Gaming, nintendo, zelda by blottingaway. Bookmark the permalink.